Being an Empath is like this: Imagine if you have an extremely enhanced sense of sound and what’s a normal and calm scenery for someone, for you is a really loud noise like a scream of 1000 people and you are trying to hear them all. 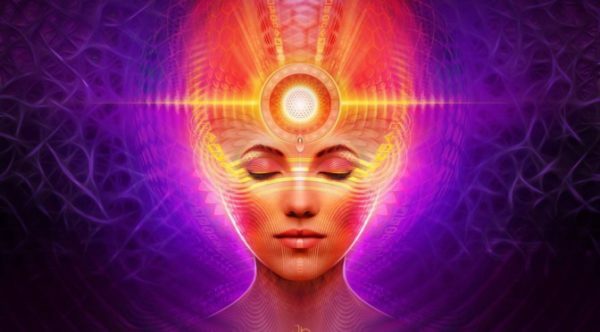 Empaths have enhanced “hearts” they feel the world and connect deeper than anyone else. They can enter a room and immediately feel the energy inside that room. They can immediately know if someone cried, screamed, fought someone else, or if everybody had a great time. They sense if someone doesn’t like them. They listen deeper than what your words say. They have greater Emotional Intelligence. If you are an Empath stop asking the world to cut you some slack. You cut yourself some slack. As you have noticed by now, the world is not aware of many things. With feeling, your “heart” is draining your energy more than some other regular Joe. So, take care of yourself. You are your own responsibility. Now I want you to understand that being an Empath is not a disease or an anomaly, or anything that makes you less. If anything, being an Empath makes you more. But like the ol’ superhero saying goes: “With great power comes great responsibility” and you need to learn a couple of lessons. Take care of yourself first. You can’t help others when you are broken. Being an Empath can get you broken more frequently than a regular Joe. It’s normal to get broken through your life. However, you need to spend some time healing after you get broken. You must spend time listening and learning. Empaths, paradoxically, tend to neglect themselves and focus on helping others. Stop this! You are more sensitive to feelings. That’s why it’s important to set boundaries which keep you safe from dealing with unnecessary feelings. It’s like having an open wound, you need to keep that open wound away from hits and punches. Even though it may look cowardly, remember that this way you function better. You don’t see firemen go and fight a fire naked because they are not cowards. Remember that you are more sensitive? How can you deal with a painful situation if your senses are over flooded. It’s better to move away and leave for others, less sensitive individuals to think clearly and solve it. Your part is in giving depth to life, others have part of finding ways to cross the ocean. We are meant to function together not compete who can do more. Like we said before, you connect with people, things and the world on a much deeper level than anyone else. Seeing someone you care about struggle is a struggle for you too. However, you must understand that their life is their life. There are lessons they must learn on their own. Only by letting them discover their own truth you will really help them. Even though it may feel like it, the world is not your responsibility. There are A LOT of things outside of your control. You need to let others find their way. You are an Empath, of course you are gonna feel for them, but you must accept that it’s their life. They have the right to discover the truth their own way even though it may be obvious for you. You can guide them, but they must save themselves.